with both a hanging rod and an adjustable shelf. 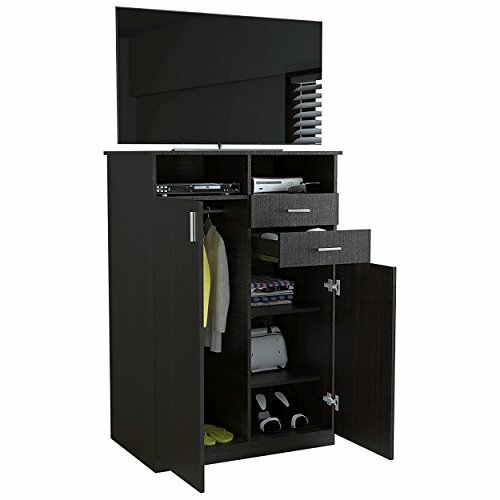 Use it as a Wardrobe, a Storage Cabinet or as an Entertainment Center (will hold most 32" TVs). all-metal roller glides with built-in safety stops. Once you assemble it weighs only 106,26 Lb. K&A Company Manhattan Comfort Accentuations Salem Splayed Leg Tv Standin White and Yellow.